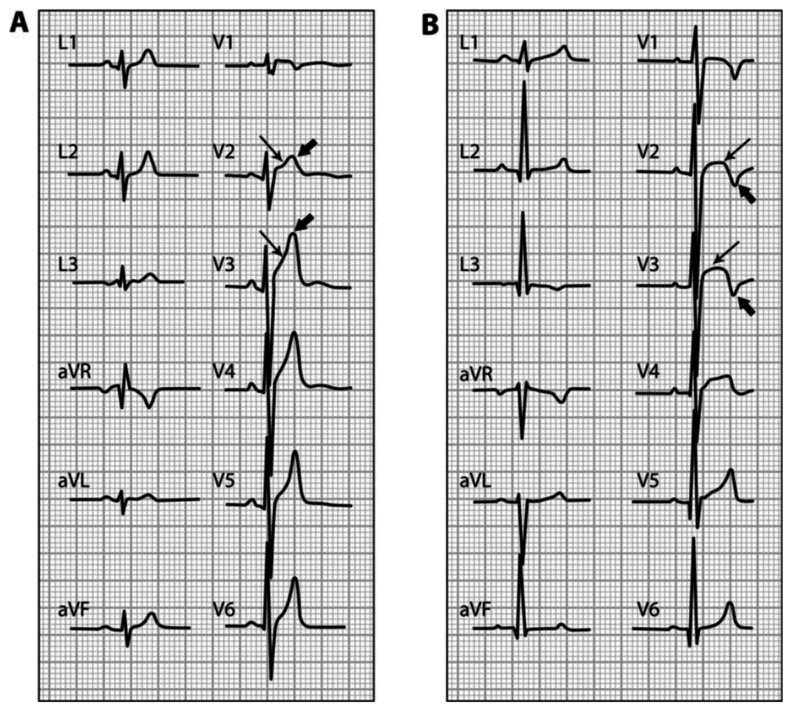 The ECG of the athletes can pose a challenge in distinguishing pathological changes from those physiological changes, that are associated with physical training and cardiac remodelling. We don’t want to erroneously attribute heart disease to those with normal variants and more importantly, we don’t want potentially life threatening cardiac conditions being erroneously dismissed as normal variants. Those athletes that participate in endurance sports experience a volume load on all heart chambers, whereas those that participate in strength training experience a pressure overload on the heart, secondary to increased systemic vascular resistance(1). In 2010, The European Society of Cardiology produced recommendations for ECG interpretation in athletes. In 2015, a meeting of sports physicians and sports cardiologists produced the most up to date set of criteria for determining normal and abnormal ECGs in athletes. These were the Seattle Criteria(2). A 23 year old male who is training for a triathlon presents with a history of a mechanical fall. He trains over 8 hours per week and today whilst running tripped and fell. He has had a head strike, but no loss of consciousness. He complains of a small amount of midline neck pain. He is in bed with a cervical collar in-situ. There are no other injuries. He has full memory of the event and feels well. The nurse does as ECG and hands it to you. This is the ECG. What do you make of it? How do we exclude pathological cause on this patient? There should be resolution of symptoms with exercise, or even hyperventilation. This excludes a pathological cause. As we can see, what might be considered abnormal in the everyday person, may be an expected finding in athletes. It’s important to have a set of criteria to assist us in determining what is benign and what is not. Lets look at some examples of what is considered normal in athletes. Ectopic P waves are present in about 8% of athletes. They have a different morphology to the normal P wave. In the ECG above we see negative p waves in the inferior leads. The normal sinus rate, or rate of P waves is slow in athletes. In an escape or nodal rhythm, the escape rate is faster than the sinus rate. The QRS complexes will be narrow as the source is the AV node. The R-R interval should be constant. The patient will return to sinus rhythm as soon as activity commences. In athletes with right ventricular remodelling, there is increased conduction time in the right ventricle. The QRS is <120ms and there is a terminal R wave in lead I and terminal S waves in leads I and VI. The athlete’s heart usually has increased ventricular dimensions and an increased ventricular mass. 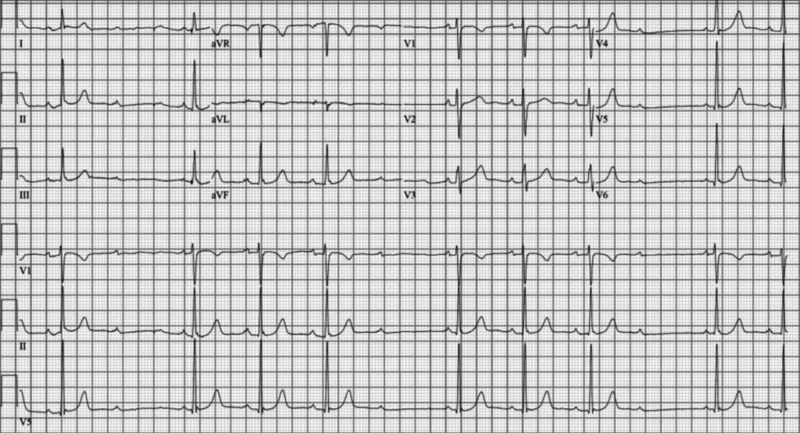 This left ventricular hypertrophy manifests as an isolated increase in QRS amplitude. 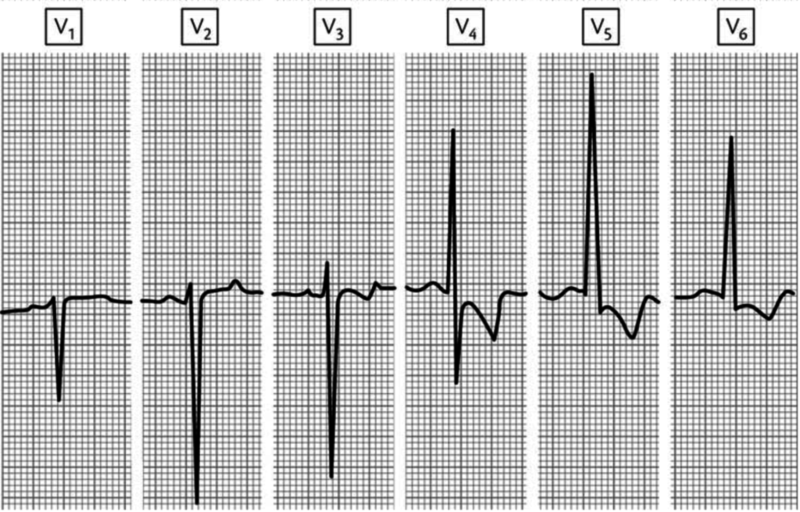 A high percentage of athletes’ ECGs fulfil electrocardiographic LV hypertrophy using Sokolow and Lyon criteria(S wave in V1 + R wave in V5.35 mm). The above ECG shows increased voltages and T wave inversion in the lateral leads. Hypertrophic Cardiomyopathy was diagnosed on ECHO. In Caucasians, there is an ST segment elevation with upward concavity and a peaked T wave. Pattern A below. In African- Caribbean athletes, there is an elevated ST-segment with an upward convexity, followed by a negative T-wave in V2 – V4. This needs to be distinguished from the Brugada pattern. Pattern B below. Remember that there are benign changes in the ECGs of athletes. Know these and question all others.